This autumn Shobana Jeyasingh Dance brings her latest dance work Contagion to six science, art and war-related sites across the country. The tour opens on 15 and 16 September at the Gymnasium Gallery in Berwick-upon-Tweed, a former army barracks where soldiers were sent to keep fit during the First World War. Contagion is co-commissioned by 14-18 NOW, the UK’s arts programme for the First World War centenary, and supported by Wellcome. A 40-minute promenade piece, Contagion sees Jeyasingh exploring ideas around viral pandemic and the metaphor of the virus conducting a parallel warfare against humans. Her choreography echoes the scientific features of a virus – rapid, random, agile and adaptive – where eight female dancers contort, strategise and mutate as they explore both the resilience and the vulnerability of the human body. The extraordinary work of artist Egon Schiele, himself a victim of the pandemic, is a powerful footnote to the choreography. His use of twisted body shapes and expressive lines reflected early understandings of neuro-science and psychology. In 1918 a Spanish flu pandemic infected one third of the world’s population and killed over 50 million people. Directly exacerbated by troop and civilian migrations from the First World War, the virus killed more people than the war itself. Throughout the creative process Jeyasingh has been advised by Professor John Oxford, Emeritus Professor of Virology at the University of London, the UK’s leading influenza expert whose work on the 1918 Spanish flu is world renowned. The venues are: Gymnasium Gallery, Berwick-upon-Tweed; Winchester Great Hall, which contains the greatest symbol of medieval mythology, King Arthur’s Round Table; DanceEast, Ipswich; St Gabriel’s Church, Sunderland which was used as a temporary hospital in World War I; IWM North, Salford where the piece will be performed as part of Manchester Science Festival; and the British Library, London. 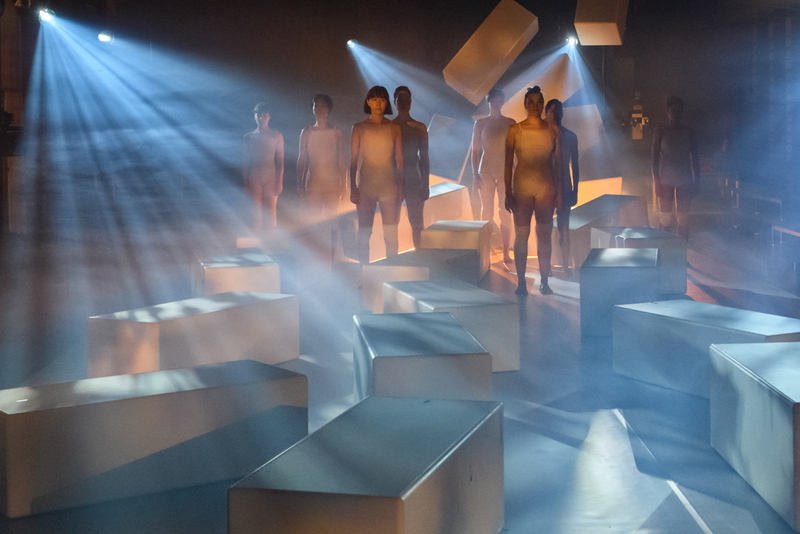 For Contagion, Shobana Jeyasingh has collaborated with designers Merle Hensel (set and costume), Yaron Abulafia (lighting) and Nina Dunn (video design) and composer Graeme Miller. The dancers include Avâtara Ayuso, Catarina Carvalho, Emily Pottage, Estela Merlos, Noora Kela, Rachel Maybank and Vânia Doutel Vaz. Catch Contagion at DanceEast on Fri 5th Oct. To book tickets click here.